Make Halloween Wreath With Scary Googly Eyes. Create a spooky entrance for guests this Halloween season with a decorative wreath that will make even the prettiest door seem downright scary. 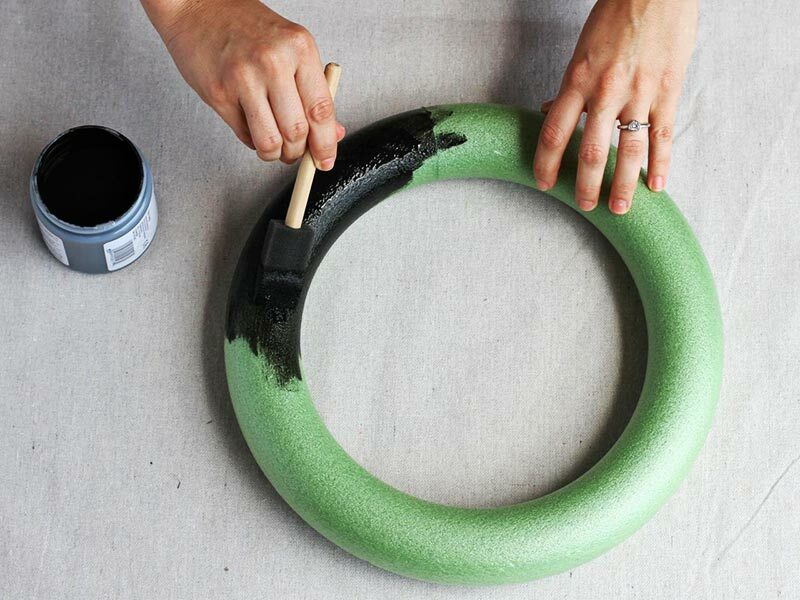 Paint the wreath form with black acrylic paint. Set aside. You don’t have to get super-even coverage as most of the form will be camouflaged by the feather boa. While waiting for the paint to dry on the wreath, start working on the creepy eyeballs. 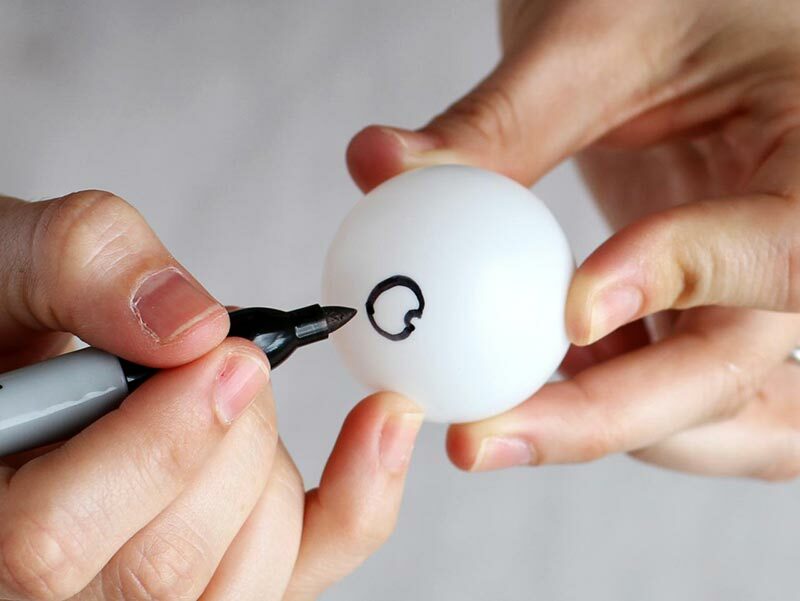 Use a permanent marker to draw a circle with a little notch taken out of it (almost like a Pac-Man shape) in the middle of a Ping-Pong ball. 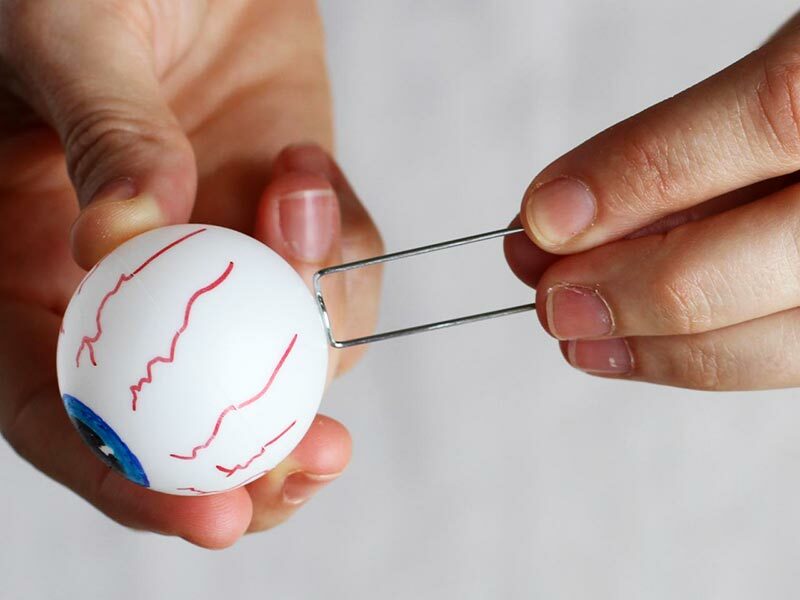 This will create a catch-light in the eye which makes it look more realistic. 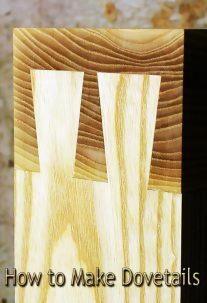 Color in the shape. 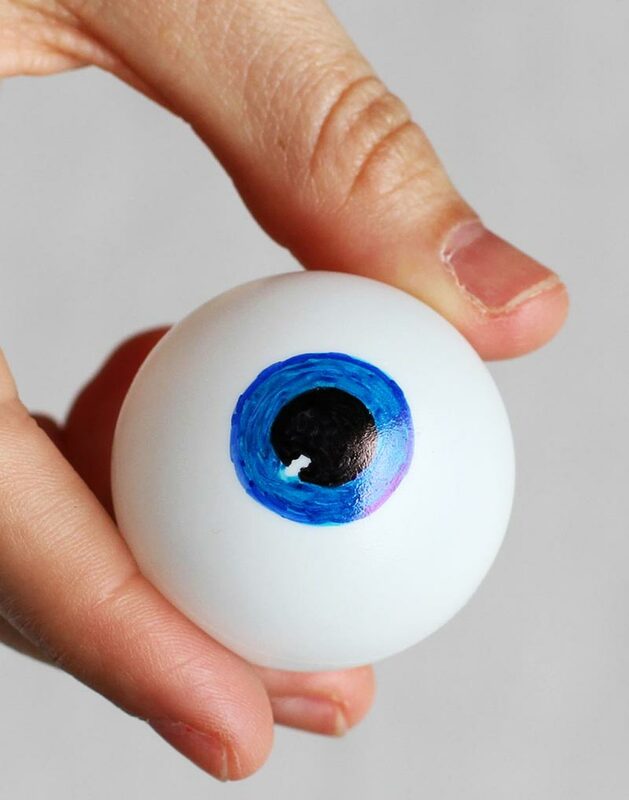 Choose an eye color (blue, green or brown) to make the iris. Follow the circle that you already created for the pupil with the colored marker. To complete the catch-light, create another notch in the iris, lined up with the notch you already made in the pupil. This should give you a full circle of white in between the pupil and iris. Add a darker color to the iris to create detail in the eye. 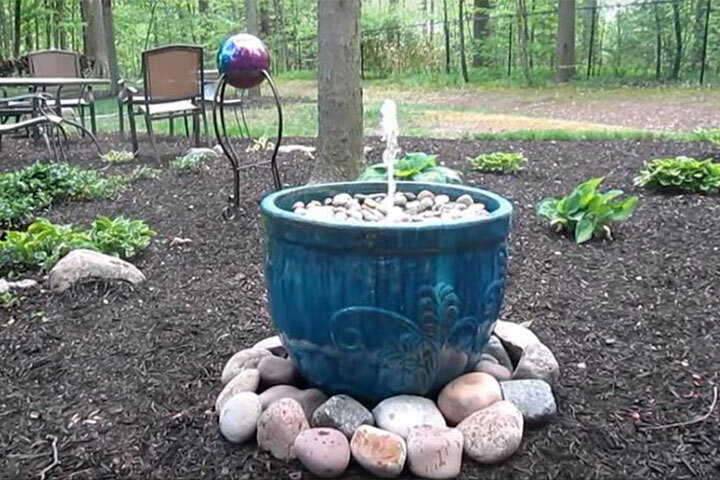 If you started with light blue, use a darker blue to add extra lines and marks like a real iris. 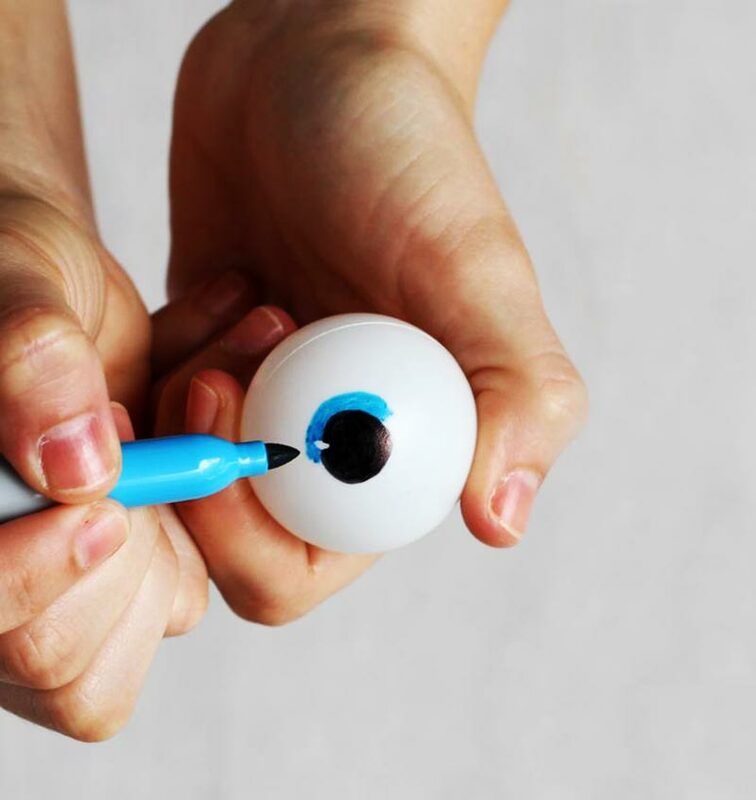 To make the eyeballs look a little creepy, use a red marker to draw veins on the side of the eyeball. Start at the bottom of the eye going upward toward the pupil and iris. Repeat the whole process until you have enough eyeballs. Add a bead of hot glue to a floral pin, and attach the floral pin to the back of the eyeball. Repeat for the rest of the eyeballs. 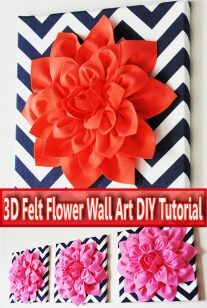 When the paint on the wreath is dry, wrap the feather boa around it and secure it with floral pins. 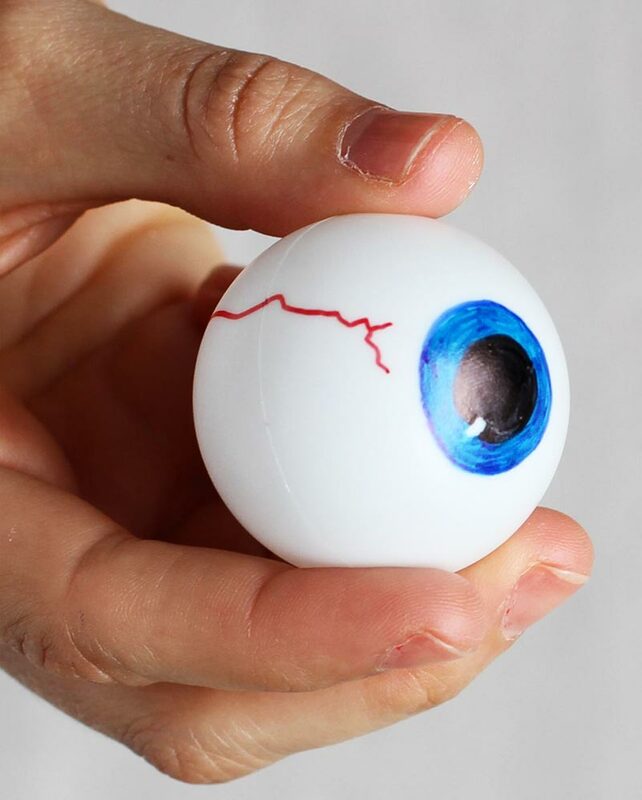 Using the pins on the back of eyeballs, attach the eyeballs randomly around the wreath. 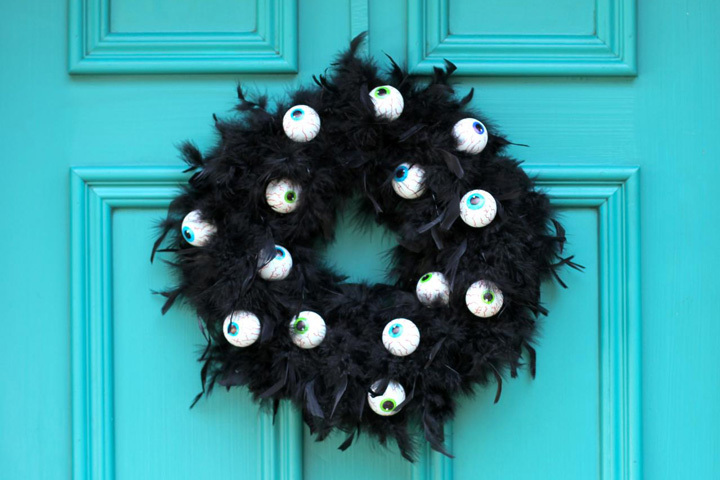 Greet trick-or-treaters in style with your door wreath.